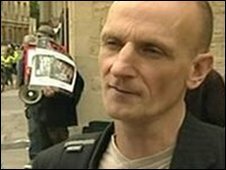 An animal rights campaigner has denied plotting fire-bomb attacks on the University of Oxford. Mel Broughton, of Northamptonshire, is accused in connection with incidents at university premises in 2006 and 2007. He is charged with conspiracy to commit arson and possession of articles with intent to destroy property. Mr Broughton, 49, was granted bail on condition he does not enter Oxfordshire and does not engage in animal rights activities. He will be tried in June. Two devices exploded at Queen's College's sports pavilion in November 2006, causing almost £14,000 of damage. Two similar bombs were planted underneath a portable building at Templeton College in February 2007 but failed to go off.